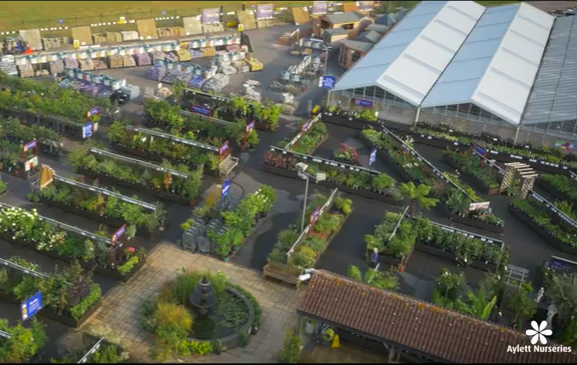 See Aylett Nurseries come to life by exploring a memorable reality experience with our virtual tour. Swoop down across our sensational Celebration Garden designed by Mrs Aylett and wander through the vast array of stunning shrubs and herbaceous plants. See how our famous Dahlias grow within this stunning environment and enjoy the blazing colours from a birds eye view. 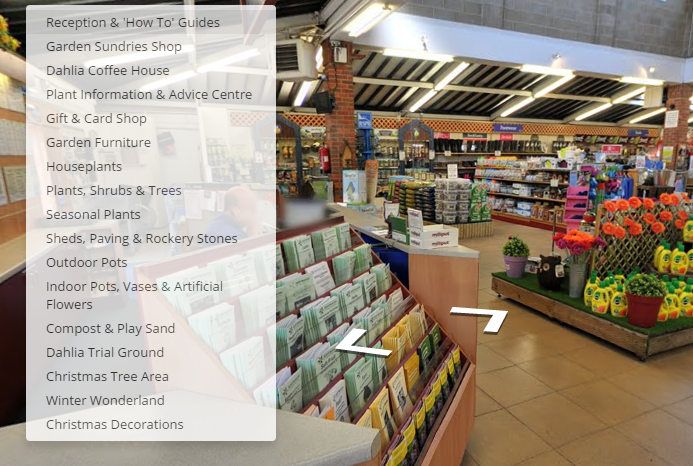 From the comfort of your home, visualise where you would like to visit when you come to Ayletts garden centre. Wander through our two indoor areas dedicated to outdoor shrubs and plants and glide through our spectacular indoor plant area with an abundance of house plants including exotics. You will see just how easy it is to move around, everything is accessible on one level and with covered walk ways, our garden centre is ideal whatever the weather! Step inside and you will see the main shop to explore; the indoor pots, vases and everlasting flowers area; the Advice Centre; the gift shop and of course the Dahlia Coffee House. We look forward to welcoming you to Aylett Nurseries very soon.